I'm back with another Blog to Biz post! Keeping it real, authentic & sharing some strategies that have helped me make the leap from blogger to business owner. Instagram is definitely one of those platforms where it becomes to easy to start comparing yourself. I've definitely caught myself falling into that train of thought- but quickly have to snap myself out of it. I find that once you stop worrying about everyone else and focus on yourself, things seem to just happen organically! I'm giving an Instagram talk next week at Madison's "Tuesday's Together" meeting as part of the Rising Tide Society (be sure to check out if they have meetings in your town as well). 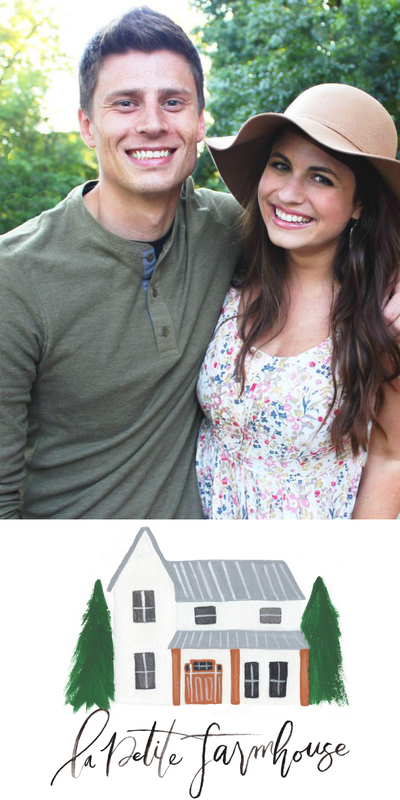 I love this group because it's all about encouraging creative entrepreneurs to value community over competition! Whenever I go to workshops I love to come away with strategies that I can start applying right away. I thought I'd share a few quick action steps that you can start working on right now if one of your goals is to increase your Instagram following! Instagram is one of my favorite social media platforms but it can also be a sort of mystery as well. I love digging into the analytics and testing things to see what resonates with my audience. 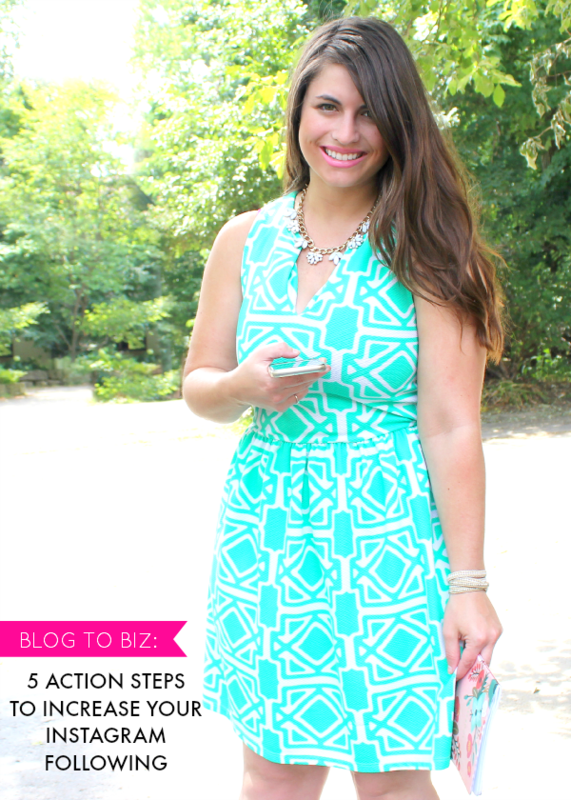 Here are a few action steps you can take right now! 1. Promote your Instagram on your other Social Media Platforms: Create a fun graphic letting people know to follow you on Instagram & post it on Facebook, Twitter & your blog. 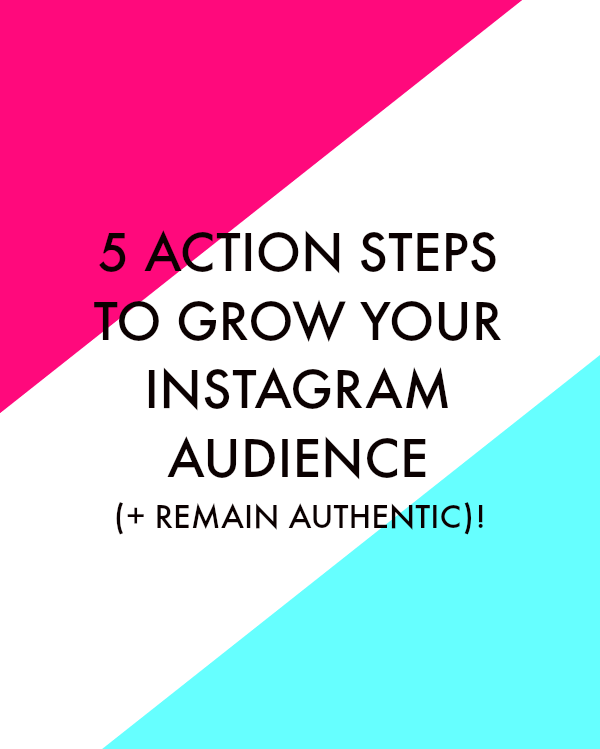 If they're already following you on one channel, it can make for an easy addition to your Instagram audience. 2. Utilize Trending Hashtags: Many Instagram handles feature content that includes one of their designated hashtags. You can also discover Instagrammers that have a similar aesthetic. 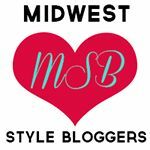 A few of my favorite hashtags to use & peruse are: #abmlifeiscolorful, #flashesofdelight, #wandeleurspark, #midwestbloggers & #thatsdarling. 3. Find your Signature Editing Style: One of the quickest ways to give your Instagram feed a consistent look & feel is to decide your signature editing style. Super saturated & colorful? Faded & airy? Land on a filter that you can use (I typically do mine at only 10%) for each image. 4. Tag & Use a Hashtag when Tagging Brands: Whether you're a business or a blogger, being featured (or even having an image "liked") by a brand can give your follower count a huge boost. Make sure your image is noticed by "tap tagging" the brand on the actual photo and also uses the brand's signature hashtag. 5. Be Social! Taking the time to leave genuine comments & following people in your potential audience can be hugely impactful. It's important to engage with people if you expect them to engage with you too. A comment is more noticeable than a "like"! The most important thing to remember is to stay true to yourself & your brand voice. Authenticity and transparency are key! Are you as Instagram obsessed as I am? I'd love to hear what's working for you! Awesome tips! I can't believe what a positive impact leaving comments on people's photos has made rather than just double tapping to like it. It's allowed me to get more engaged followers and also be more involved with the people I love to follow!